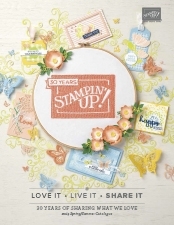 April 9, 2019 April 13, 2019 Sarah Gouin Keerie Stampin' Up! We have had some important news and updates today and as I don’t want you to miss out on anything and be disappointed, this breaking news is one that you want to read all the way through as it has important updates and news that I need to share with you now. We heard today that the Stampin’ Up! Trimmer (paper cutter) is being retired from 3rd June 2019 and will not be carried over into the new annual catalogue. We have had supply issues for the blades for some time and we had a spate of faulty blades and although we have been working with the manufacturer to resolve this issue we are still unable to order enough to sustain our stock requirements or resolve the issues we had. Stampin’ Up! has therefore taken the decision to retire the trimmer and its accessories including the scoring and cutting blades whilst they research a brand new replacement trimmer. We do not have a date for the launch of a new paper cutter/trimmer as yet but will keep you up to date as we hear more. The items shared above are still available until 3rd June 2019 although the blades are currently out of stock and I encourage you to enter your email when requested to be kept informed of when they arrive back into stock. When the retiring list goes live on 15 April, the order limit for the blades will be six packs (and the limit will remain at six until they’re no longer available). And from now until September, we will receive intermittent shipments from the supplier. Throughout these months, we anticipate times when the blades will not be orderable (and not offered as a backorder). 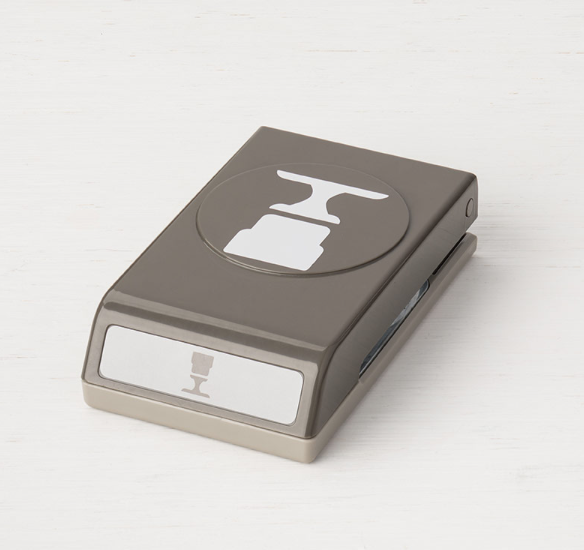 I know that so many of you love our Stampin’ Trimmer, me included, but we have to be able to supply products of the highest quality and ensure they can reach the demand. I am hopeful for what is coming and will keep you posted of updates as I receive them. All the items shared above are available from my online shop, click the image to go direct to that item in my shop and even if it shows as not orderable, please add your email to be kept up to date. Click here to add your email to find out when the blades arrive back into stock. It is coming to that time of year again where we have a new annual catalogue being launched on 4th June, and when you have brand new products coming you have to say farewell to some of the old ones to make room for the new. Bookmark the 15th April at 8pm in your calendar and go direct to my online shop and view the retiring items shown there. If there is something you cannot live without, add it to your basket and check out as fast as possible. The items have a shared image and I find it much easier to look at the images on the shop rather than a typed list of names and page numbers. The link to my shop is here, if you have not registered already, I’d recommend you do that now so that you simply need to log in as the list goes live rather than register on 15 April and potentially miss out on any items. Alternatively you can purchase the items you cannot live without now before the rush! The 2017-2019 In Colours will definitely be retiring along with all the cardstock, ink, ink refills & ribbon. In the past all the DSP has retired along with lots of the accessories. Of course stamp sets and dies will also retire so don’t be disappointed, get them now and then sit back and relax. Remember that the bundles will retire in terms of pricing and some of the products in the bundles will not be carried over. Both the Butterfly Duet Punch & The Cake Builder punch will be in the new annual catalogue and is still not in stock (see below) so you will be able to order these items as soon as the stock is replenished and going forward form June onwards. Ok, so this has been way more popular that expected and the pre-order of stock that we ordered to see us through to the annual catalogue launch of this product range has already been depleted! That means that you can still get your hands on the Storage item but not till the new catalogue launch on 4th June 2019. You can still add your email address to the product and get a notification of when it becomes available. 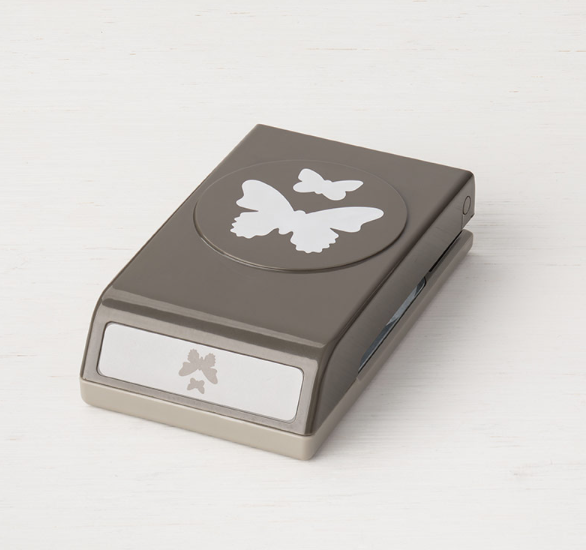 Stampin Up has worked with their current supplier for die cutting and embossing for many years, but after extensive research, demonstrator feedback, and evaluation, we’ve decided to move in a new direction and we’re optimistic about this new course. There may be some transition issues such as extended lead times on specific items (we have already been experiencing this issue since March) but rest assured we are working hard behind the scenes to get a resolution. We will offer new dies and embossing folders in the 2019–2020 annual catalogue but we will no longer be offering the Big Shot Die Cutting machine. We were unable to be competitive with this item which is why so many of you purchased the machine itself elsewhere so I am confident this will not affect you. Since we’re using a new supplier for our dies and embossing folders, the dies and folders will be manufactured differently; this means the way you use the new style of dies and folders will be a little different than how you used the old style. Both the new-style and old-style dies and embossing folders can work with any die-cutting & embossing machine (in some cases, adaptations like shims may be required because the gap between rollers on machines may vary slightly between manufacturers). Dies and embossing folders included on the retiring list will not be offered in the new catalogue in any format. Dies and standard embossing folders NOT included on the retiring list will be carried over into the 2019–2020 annual catalogue. We’ll use up our current inventory before starting to ship new-style dies, so even if you place an order in 2020, you might receive an old-style die or folder. * These are the high-quality products we currently offer, so we’re confident that you’ll be happy with their performance. I feel that we have some really exciting changes and as soon as I know more I will share updates with you. Rest assured we are making changes to give you better products, better stock control and a better experience. And finally, something that none of us has any control over are the dreaded customs delays. We have a large number of shipments currently stuck in customs and they are likely to be there for at least 4 weeks. I have no idea why there is a hold up, and it’s lots of basic items such as glue and cardstock etc. We do not have a date to share on when its expected to arrive in the warehouse but 4 weeks will be the last week of April. Although when it comes to customs nothing is guaranteed. However, if you are able to put an item on backorder I would recommend that you do so that as soon as it arrives in the warehouse it will be shipped directly to you – and in case you wonder, you don’t pay extra delivery charges for items on backorder. If it is not able to be ordered, again, add your email address so you get a notification of when it is back in stock. I realise the frustration, I have things on my list that fall into the above but I want you to be as informed as possible. Stampin’ Up! 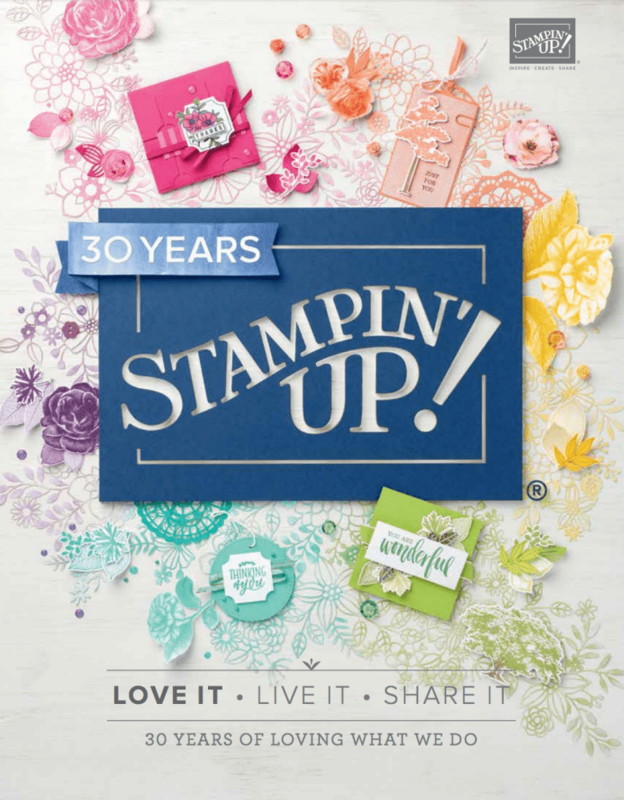 is a forward thinking company and these changes I am sure will lead to a much better crafting experience and service from Stampin’ Up! I am looking forward to seeing the new annual catalogue and all the new lovely crafting supplies that are coming our way.